The Restore the Soldier's Name campaign aims to immortalize 17,000 previosly unknown soldiers and officers who fell during the Stalingrad Battle. This will involve mounting some 1,500 memorial plaques bearing the names of 17,000 previously unknown defenders of the city. 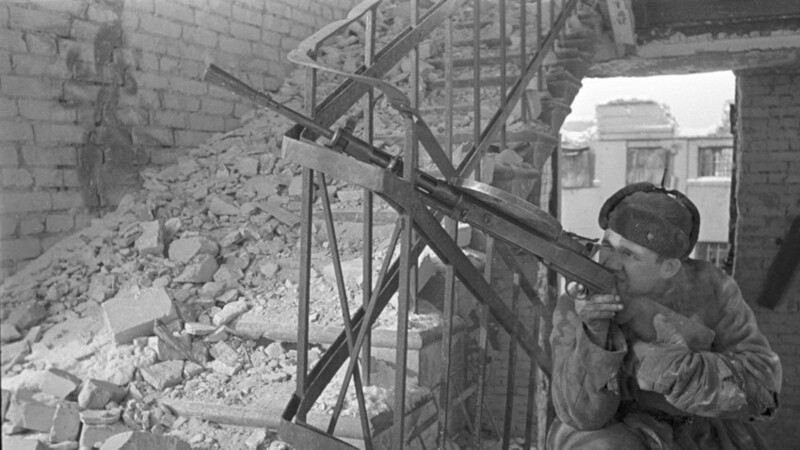 Their names were discovered over the last three years, as the result of an enormous amount of research work conducted by the Battle of Stalingrad Museum-Preserve. These are the names of heroes who are buried on this high hill in the Great and Small Communal Graves. The Small Communal Grave is located on the mound’s southern slope. It dates back to 1948-1949 and contains the remains of those who died on Hill 102 (as the mound was known during the battle): some 1,500 soldiers who served mainly in the 284th Division. Their mission was to hold the mound and not fall back to the Volga. The Great Communal Grave, located directly under the 236-foot-high, sword-wielding statue of Mother Russia, contains the remains of 34,500 Soviet soldiers and officers who died defending Stalingrad. They were brought here after the city, then completely destroyed, was rebuilt. Many people had no idea until now where their relatives were buried. Alexander Tsiryulnikov’s name is on the wall of the War Memorial Cemetery, but Nikifor Fyodorovich Izraztsov’s name is among the 17,000 names of soldiers who will be added to the wall over the next few months. His relatives also spent decades looking for his grave; only recently did they learn that he was buried on Mamai Mound. “When I learned how many names of Wehrmacht soldiers who perished had been immortalized and how many Soviet soldiers, I was shocked,” said Aleksei Vasin, director of the Battle of Stalingrad Museum-Preserve. “In the village of Rossoshki in the Volgograd region, in the cemetery for German soldiers who died at Stalingrad, etched in the granite are 117,000 names of our former enemies. Whereas the number of immortalized Red Army soldiers who fell in the Battle of Stalingrad is less than 15,000. I consider this situation an insult both to the memory of Soviet soldiers and to us, their descendants. It must be corrected, with dedicated work,” he added. Research work has been going on at Mamai Mound since the war — both paid and volunteer. War veteran Gorgony Mikhailovich Podyakov, who was born in Volgograd Region and also fought in the Battle of Stalingrad, has established in collaboration with the Mamai staff the names of more than 3,000 of his compatriots who died in battles for Stalingrad. A real breakthrough in this research work was made in 2009, when the Museum-Preserve created its Search Department. By then, the data bank Memorial was already filling up: this unique Defense Ministry project (unprecedented in world practice) for cataloging archival documents and creating a global information system on the Internet afforded the museum’s Search Department new opportunities. Three years of work have produced 17,000 names of soldiers buried on Mamai Mound. Still, it is one thing to establish the names of the fallen, but quite another to immortalize them. There are difficulties here too. The War Memorial Cemetery on Mamai Mound was created in 1995. Since then, the remains of soldiers found in Volgograd Region have been brought here. Part of the memorial is a 328-foot-long wall displaying the names of Red Army soldiers buried on the mound. Seventeen years ago, when the cemetery opened, 6,500 names of Soviet soldiers who died there were engraved on the wall. In 2001, 430 more names were added, and, in August 2012, another 216. The campaign to immortalize 17,000 soldiers and officers at once is unprecedented, not only in the history of the new Russia, but also in the history of the Soviet Union. Mounting 1,500 memorial plaques will cost the budget some 10 million rubles (just over $3 million). The work is scheduled to be completed on February 2, 2013 — the 70th anniversary of the Soviet victory at the Battle of Stalingrad.